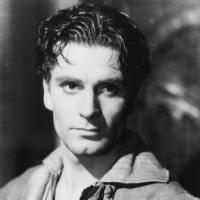 Sir Laurence Olivier is world famous for his outstanding artistic achievements in the theatre and cinema. He directed stage and film productions that are considered the most difficult ones in the world repertoire. If you saw him on the stage you would un­derstand why he is constantly attracting the best critics’ attention. If you saw him on the screen you would not forget the images he created. Laurence Olivier Kerr, 1st Baron Olivier of Brighton was born in Dorking, Surrey, in 1907. Nine years later he made his first stage appearances in amateur performances of plays by English poet and playwright Wil­liam Shakespeare. Olivier made his professional debut at Letch-worth in 1925. He was a member of the Birmingham Repertory Company from 1926 to 1928. Olivier made his American theat­rical debut in a short-lived melodrama in New York City in 1929. In 1930 and 1931, he appeared in Private Lives by English play­wright Noel Coward*, in both London and New York. * Coward, Noel Pierce (1899-1973) — English dramatist, di­rector and composer. In 1937 and 1938, Olivier was a member of the Old Vic Shakespearean Repertory Company in London. He became the co-director of the Old Vic* Company. * Old Vic — theatre in London, former home of the National Theatre (1963-1976). It was founded in 1818. In 1946, he ap­peared triumphantly with the company in the United States. In his work as actor and director there is some particular method, or rather his own approach to acting. He relies greatly on rhythm — that is change of speed of speech, change of expression, change of pace in crossing the stage, being not so particular about his costume or make-up. He is con­stantly changing because he wants to keep the audience awake. He wouldn’t change every minute if he didn’t want the public to respond. He believes that the audience wouldn’t respond if he did what he was ex­pected to do. In this he follows the advice given many years ago by Feodor Chaliapin* to an actor: “Never do what the audience expects you to do”. * Chaliapin, Fyedor Ivanovich (1875-1938)—Russian bass singer. Olivier once said that if Chaliapin had taken breath when he was expected there wouldn’t have been an illu­sion of his having sung the whole phrase in one breath. The public wouldn’t have ad­mired him. But Olivier is sure that no tricks will make an actor great. If he himself hadn’t had qualities that widen your vision, and add to your understanding of the world, he wouldn’t be regarded, as a distinguished actor. These qualities are: thorough knowledge of the play in which he was performing, artistic imagi­nation, physical, intellectual and spiritual strength, a sense of display and an ability to identify with a role or, in other words, to take on the core of a character. For Olivier identification with a role, a com­plete transformation into a character is not a should, it is a must. He can’t understand other famous actors who in the middle of their monologues about passion, power, death are wondering what they would like to have for supper. He wouldn’t be able to play if he began to think about such things. Olivier is always interested in what agitates the soul. It may seem curious what he himself says about it: “Even if I were not an actor I would be interested in what agitates the soul. If you want to excite people, you should know what makes them respond, what makes them agitated. So if I am going to play a part, first of all I ask myself what kind of man my character is, and what there is about him that might excite people. And if I couldn’t imagine the entire man, the whole mind of the character, if I didn’t feel I am that man whom I am going to play, I wouldn’t be able to play, I wouldn’t have made an actor”, says Olivier. With such particular approach to acting it is no wonder that Olivier has creat­ed many unforgetable characters. In the theatre Olivier played classical roles ranging from Greek tragedy to Restoration comedy; he also appeared in various con­temporary plays. Among his best creations were Hamlet, Macbeth, Richard III, Doctor Astrov, Julius Caesar, Titus Andronicus , to mention just a few. Let’s dwell, for ex­ample, on some peculiarities of his image of Titus Andronicus. As Titus Olivier’s ter­rifying quietness is quiet at the core of a hurricane. His fury is the fury of the storm in his mind. Just as his Lear is associated with the storm wind so his Titus is associ­ated with the sea. Olivier cries out the words; “I am the ocean!” — as if he were really an ocean, with its waves beating on the world’s shore. When we hear Olivier pronounce the words we forget their inade­quacy in the splendour of a projection. The impression is that you not only grasp the image in he character’s mind, but the pro­nounced words reveal the reality hidden under the surface of things. In 1939, Olivier made his first important film WeatheringHeights. In 1946, a film version of Shakespeare’s Henry V was re­leased; produced, directed by, and starring Olivier, it became a major film classic. He produced, directed and starred in film ver­sion of Shakespeare’s Hamlet (1948), for which he received Academy Awards for best actor, best director, and best picture of the year, and Richard III (1956), and he per­formed the title role in a film version of Othello (1965). He won the further acclaim for his televi­sion performances, for the title role in a production of King Lear* (1983) among them. *Doctor Astrov — the character of Chekhov’s play Uncle Vanya. A theatrical producer and director as well as actor Olivier was head of the National Theatre of the United Kingdom from 1962 till 1973. He was knighted in 1947 and cre­ated Baron Olivier in 1970. He died in 1989 and was buried in Westminster Abbey. The Olivier Theatre (part of the National Theatre on the South Bank, London) is named after Laurence Olivier. He was mar­ried to actress Vivian Leigh* (1940-1960) and to the actress Joan Plowright from 1961 until his death. * Leigh, Vivian (1913-1967) — English actress. She won Acad­emy Awards for her performances as Scarlett O'Hara in Gone with the Wind (1939) and Blanche du Bois in A Streetcar Named Desire 1951. He wrote Confessions of an Actor (1982) and On Acting (1986). To display the character vividly, to make us feel what is happening under the sur­face, using different, unexpected modula­tions of the voice, using particular but nat­ural gestures, changing pace and expres­sion, conveying any tiny emotion is a very difficult task for an actor. Olivier copes with its splendidly. His ability to take on the essence of the character is the key to his magic. This ability creates miracles on the stage and on the screen.